It's time to rule out those hopes of a cheap, Kinect-free Xbox One bundle, at least for now: Microsoft says it's not happening. Following news that you don't actually need the Kinect plugged in for your next-gen Xbox to work, many gamers started wondering if maybe Microsoft would strip out the Kinect and sell a cheaper version of the $500 console, to better compete with Sony's $400 PlayStation 4. CVG asked Xbox exec Phil Harrison about the possibility. He said no. 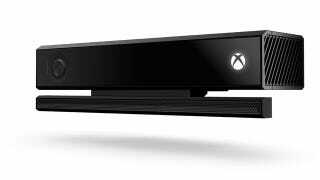 CVG: A quick word on Kinect - I presume there will never be an Xbox One sold without it. You are doing this for developer-related reasons as much as your own. You want all developers to know that they can always implement Kinect technology because it always comes with every system. Would that be correct? Harrison: Correct. Xbox One is Kinect. They are not separate systems. An Xbox One has chips, it has memory, it has Blu-ray, it has Kinect, it has a controller. These are all part of the platform ecosystem. What we have shown really well at Gamescom is the magic of games that use Kinect. We have shown the power of voice control. I'm probably going to piss off your readers unintentionally when I say this; I have an Xbox One at home, and being able to walk in and say "Xbox on", and for the system to recognise me, launch and load my profile, and put my choices of content on the font page is a very magical experience. It makes you think about your relationship with technology in a slightly different way. It's personal. It makes you think, I wish more devices would do this. Of course, no news post about the Xbox One should come without the caveat that Microsoft has a tendency to say things and then change their minds about those things. But this is the story right now: no Kinect-free Xbox One.